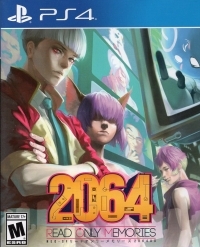 Description: 2064: Read Only Memories on physical disc for the PlayStation 4. Limited to 6,192 copies available worldwide. Region free. Limited Run #105. 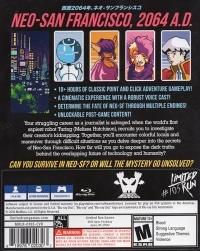 12-10-2017 Flashback2012 Description 2064: Read Only Memories on physical disc for the PlayStation 4. Limited to 6,192 copies available worldwide. Region free. Limited Run #105. This is a list of VGCollect users who have 2064: Read Only Memories in their Collection. This is a list of VGCollect users who have 2064: Read Only Memories in their Sell List. This is a list of VGCollect users who have 2064: Read Only Memories in their Wish List.